It’s that time of year again folks; severe weather season. For most cities and towns across the United States, there are elements of rain, hail, and extreme winds. In Newnan, GA, we know it brings tornado season. Over 1,200 tornados hit the United States each year. Having plans in place for taking cover so your family knows what to do when the moment comes is critical. During a tornado, winds can reach speeds of over 300 mph. Seek protection in a small, centrally located room on the lowest floor of your home. Stay off the roads and seek permanent shelter. If you are outside without access to any shelter, find the lowest ground and lay face down and cover your head. Being prepared and knowing what to do will decrease your chances of serious injury. Prepare yourself and prepare your home to ensure your safety. By the time the severe weather hits, it is already too late for any sort of home improvements, so here are ways to better prepare for the upcoming tornado season. 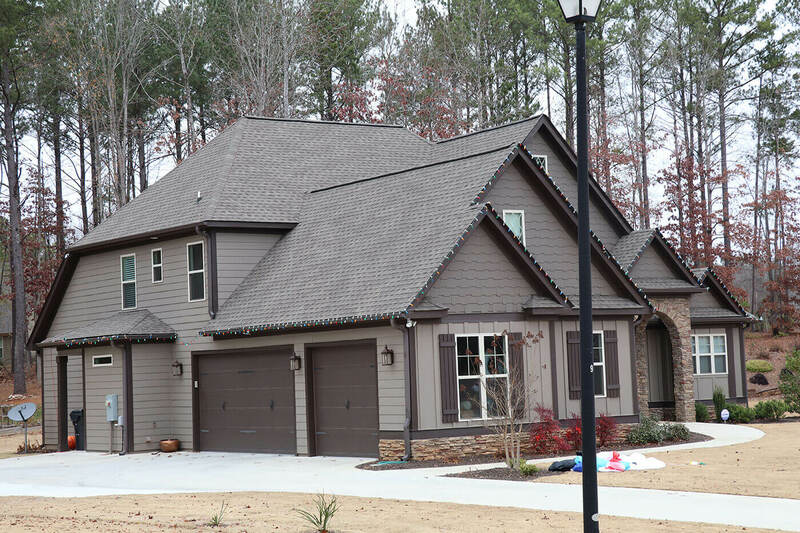 Utilize the local professionals who can help prepare you and your home with siding, gutters, and roofing in Newnan, GA. It is very likely that you or a family member may not be home at the time of a tornado. Keep a two-way radio in your car in the event you are unable to use a cell phone. Make sure to update your cell phone with apps that alert you of severe weather in your area so you have ample time to find appropriate shelter. Ensure that part of your plan includes an emergency kit for your car so you have the important survival items. In the extreme winds of a tornado, windows and doors blow open or break allowing other debris or water to flow into the home. High bursts of wind inside the home is what can cause a roof to lift off exposing the rest of the home to more damage. Replacing windows and exterior doors with out-swinging types will use the wind pressure to compress their seals and hold up better against the elements. Each replacement window and door should be rated for winds at least 30% stronger than demanded by local building codes in Georgia. These should be installed by a professional for maximum performance. Minor damage to the siding of your home can easily allow moisture to seep inside the walls of your home creating mold and rot. Wind-resistant siding products are nailed directly into the wall studs, not the wall sheathing for a better hold. Any vinyl siding should be rated to withstand 150 mph winds and come with a double nailing hem for a tighter and more secure hold. If you are looking for something more than vinyl, fiber-cement siding is an option that you can evaluate with a local professional. This siding is extremely heavy and wind-proof. It is tempting to go the DIY on your roof to save some cost, however if you live in a tornado area, it is better to seek a professional for roofing in Newnan. These professionals take a number of precautions with your roof to combat high winds. First, they seal roof sheathing seams. Wind lifts off the underlayment exposing the joints in the roof sheathing and can do serious damage to the roof and the rest of your home. Seal sheathing joints with peel-and-stick flashing tape and cover sheathing with a self-adhering membrane as the underlayment to keep this from lifting and exposing yourself to additional damage. It is also critical to use extra fasteners for roof sheathing. The traditional building codes cover minor winds and hail but do not account for any severe weather. Rather than allowing the winds to tear off the roof sheathing, roofers will use ring-shank nails or screws to fasten plywood sheathing to the roof rafters. Careful nailing is a must, especially at the edges of sheathing panels. Tighter nail spacing of 6 inches apart, in conjunction with the self-adhering membrane as the underlayment will significantly decrease damage done to the roof during tornado season. Finally, evaluate the roof vents as these are typically the weakest points in the roof during a storm. These tricky areas will let water and debris inside your home during high winds. A local roofer can replace your vents with wind and rain resistant models for better strength and durability during a major storm. People make a major mistake when an actual storm hits. They have all their planning and training in place, and then when the storm comes, they abandon their plans and end up hurt. Make sure that your planning includes who, what, where, when, and how so that you are ready to execute your plans. When the storm hits, make sure you know where your loved ones are. Did all the kids make it to a safe place or is someone dawdling? Look around your safe space and take a head count. Keeping everyone calm and collected, get yourselves to an interior room and away from windows. Find somewhere on the bottom floor of the home or even in the basement under the stairs. Cover your heads and prepare to ride out the storm together. During a storm, it is difficult to know when and how hard you will be hit. Prepare everyone around you for noises they might hear. If you are in the right place, it will likely be dark and can be intimidating. Prepare for what you will do when the storm hits and even what you will do if it passes you by. Teach everyone to keep an eye on the skies. Know what to look for. Keep your lines of communication open so everyone can be adequately prepared to see shelter at the appropriate times. If you are in your home when the severe weather hits, you should have already practiced your plan of action, however if you are on the road, know where you are going to go. Drive away from the storm and seek shelter quickly. Once the severe weather has passed, it is very important to assess the current physical condition of yourself and those around you. If everyone is ok, then it is time to disentangle yourselves from your shelter area, taking great care as there will likely be debris in your way. Be very careful when moving debris as it is very unstable and can collapse at any moment and injure you. If someone is hurt, it will be important to get them to a nearby triage location so their injuries can be adequately cared for. Check your cell phone to see if you can make a call for help. It is likely that there will be many others around you who also need help so it could take some time. After you have left your shelter area, beware of unstable debris, but also, beware of any exposed wiring. Do not approach any wiring or power lines that have fallen, broken, or are submerged in water. Get to safety as quickly as possible and contact your family to let them know your status. If there are others who need help around you, try to keep them calm until help can arrive. Only remove them from a dangerous position if there is no other option. If you need extra light to see, do not light candles or matches as gas could be leaking. Be safe out there please! As we all know, tornados have warning signs, but often, there are short times between when we see the signs and when we need to get to safety. Practice your plans often to ensure proper execution. Keep prep bags handy for quick grab-and-run access. Make your home the strongest it can be to withstand the elements. Keep yourself safe before, during, and after by following these tips.